Yuner is a hybrid of human and alien. Under the influence of her alien genes, she is capable of sensing the innermost changes in others. Yet it is the Eastern and Western cultures she has experienced that benefits her journey through time, reflecting on the mysterious and unstoppable power from the outer space and how it can impact on humanity. Benevolent in origin, this power is gathering force to fight for eternal peace on Earth. Born in Shanghai in 1962, Wu Yunyi enjoys writing, painting and music. While in China, she published numerous poems, essays and short stories, as well as academic papers in children's education and psychological development. She was also featured in many Chinese and English media reports overseas. In March 2015, Yunyi published a book of drawings on Canadian architecture, and held a series of personal exhibitions overseas. In July 2016, she published a book of essays on her life in Canada, using one of her paintings as its cover. In 2017, she published a novel featuring life in North America. 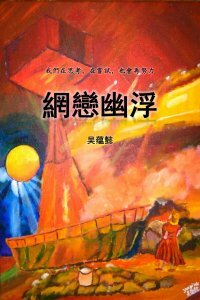 Alien Intervention is a piece of science fiction, once again using one of Yunyi's paintings as its cover. Writing the book not only challenges the author's imagination, but it also introduces readers to a yet unknown part of humanity.